When you work in the interior design industry you come to learn what most people want and like in their homes. With so much time spent envisioning interiors it’s not surprising that eventually many interior designers also begin envisioning their own furniture and home good designs. Some just commission custom pieces for their clients, but others want to share their designs with a larger audience, and create their own furniture collection. Today we’ll look at one such line put together by a well known interior designer – Kelly Hoppen. Perhaps better well known in the UK than the US, Kelly Hoppen has been in the interior design business since she was sixteen years old. Since then she’s designed homes, yachts, and jets for private clients, as well as commercial projects in several countries, including hotels, restaurants, offices, and aircraft. She’s also written eight design books. In 2014 she launched her first self-designed interior accessories line. To celebrate her forty years in the industry she launched this collaborative collection that draws inspiration from her life, travels, antiques and own home. Reflecting her belief that texture has the power to add depth and sensuality to a room she elegantly played with materials to create designs that are characteristic and reflective of her sophisticated East meets West design philosophy. 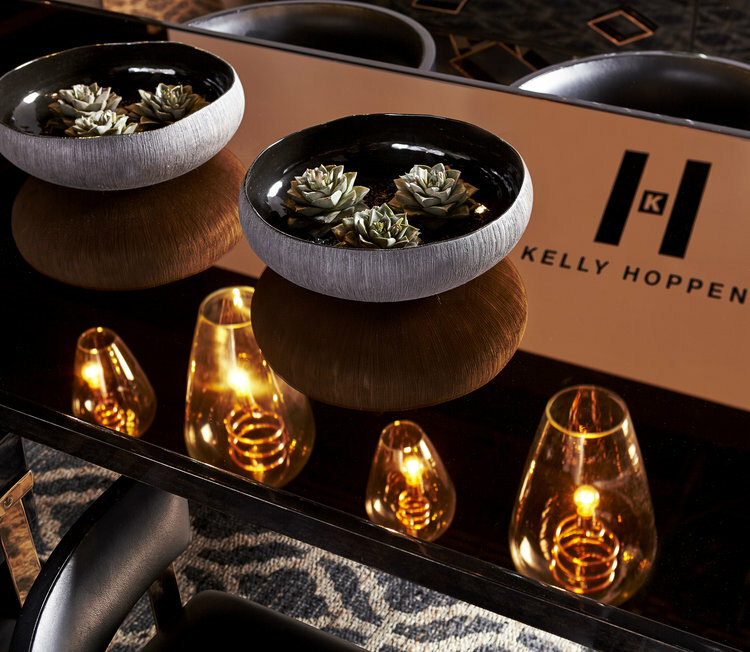 If you’re looking to fill your space with clean, sophisticated designs, definitely check out the Kelly Hoppen line. The collection manages to perfectly balance warm charm and sumptuous opulence. Full of wonderful neutral tones these pieces will look great with almost any color palette you have in your space. And with offerings in lighting, seating, bedding and art there’s something for every room of the house. Next Post Ask Astrid: Can I Have A Thanksgiving Dinner Without Turkey?